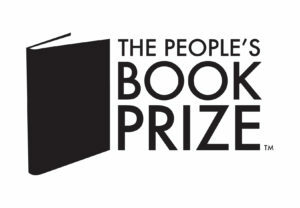 Winner of The People’s Book Prize 2016 – Non Fiction. Winner of The People’s Book Awards, September 2015. As a girl, I remember playing with my dolls – dressing them and nursing them to sleep, pretending that I was their mother. Motherhood has always been my dream. At the age of sixteen I kept a diary; through pages of teenage angst, school cliques and social dramas, it also detailed fantasies of my adulthood. I had my future planned out from a very early age: marriage to my handsome ‘someone’, and then starting a family. These dreams were built upon natural instinct, family and custom. In my late thirties those dreams started to come to life, as I met and married my husband, and we embarked on our journey towards parenthood. However, like many couples do today, that dream started to crumble as we faced challenges with infertility, miscarriage and loss. 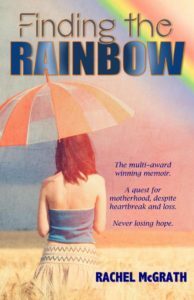 Finding the Rainbow is my story, through trying to conceive, our struggles with pregnancy loss, and beyond. It has never been my intention to dwell in the sadness and misfortune, instead I focused on looking forward, finding hope and staying positive. I have always remained determined to become a mother, and I would not let this storm defeat me, not matter how strong the headwinds. Everyone copes differently, and no two situations are the same. In writing my story I hope that it reaches others, helping them to find something in the story to connect with, even if only just a mutual understanding. “Finding the Rainbow” by Rachel McGrath. Barnes and Noble (US) and Booktopia (Australia).